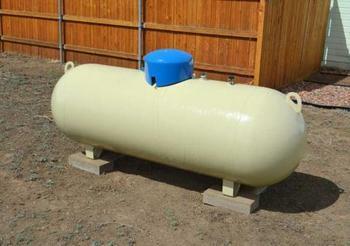 Keyera Energy of Houston, Texas, is recalling about 1.7 million gallons of propane (LP) gas. The recalled gas does not contain sufficient levels of odorant to help alert consumers to a leak. Failure to detect leaking gas can present fire, explosion and thermal burn hazards. This recall involves under-odorized propane (LP) gas delivered to consumers for use in storage tanks or sold at retail locations in portable refillable cylinders (for use in recreational vehicles, barbeques, stoves and other appliances). It was also sold to businesses for commercial and industrial use. Keyera Energy does not sell propane directly to any retailers or consumers, but supplies propane to distributors that sell directly to retailers and consumers. The LP gas, produced in the U.S., was distributed in Texas and Louisiana by various companies and sold by retailers between February 2018 and April 2018. Consumers should not attempt to test the propane themselves. Instead, those who have propane delivered to storage tanks should immediately contact the retailer, supplier or Keyera Energy to arrange for a free inspection. If the inspection confirms that the propane contains insufficient odorant, Keyera Energy will arrange for additional odorization or a replacement of the under-odorized propane. Consumers should have carbon monoxide alarms in homes or other buildings that utilize propane gas. If consumers do smell even a faint odor of gas or a gas leak, they should immediately leave the building and call 911 or call their gas supplier. Do not light a match, turn on a light or switch on anything electrical. Consumers may contact Keyera Energy toll-free at 844-879-8419 from 9 a.m. to 5 p.m. CT, by email at propane@keyera.com or online at www.keyera.com and click on “Propane Safety Update” on the Corporate Responsibility page or www.keypropaneupdate.com for more information.